This HP brand cartridge is designed for the popular HP OfficeJet Pro 6220, 6820, 6830 printers. This yellow cartridge is enough to print up to 400 pages. Print in high-quality and affordably. For shipping to other EU countries visit this page HP C2P22AE no. 935. Für Versand nach Deutschland, besuchen Sie bitte HP C2P22AE Nr. 935. Chcete doručit zboží do Česka? 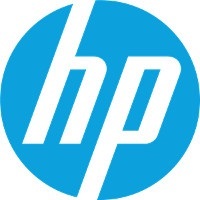 Prohlédněte si HP C2P22AE č. 935 žlutá. Chcete doručiť tovar na Slovensko? Prezrite si HP C2P22AE č. 935. Magyarországra történő kiszállításért tekintse meg ezt a termékoldalt: HP C2P22AE No. 935 sárga.